Sara Halpern is a doctoral candidate in Modern Jewish and European history with a minor field in Gender, Sexuality and the Family. Her research focuses on twentieth-century Jewish migration, international humanitarian politics and diplomacy, and questions of belonging/exclusion in transnational and global contexts. Currently, she is writing her dissertation on an understudied aspect of the Holocaust and post-Second World War global refugee crisis: 15,000 German and Austrian Jewish refugees in Shanghai. 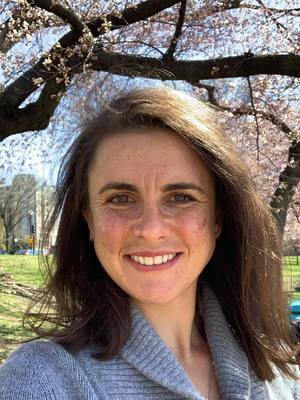 Her dissertation traces the perennial legal and humanitarian tensions among the Jewish refugees, the Allies, and the NGOs within contexts of citizenship, various forms of relief, and immigration laws. Halpern's transnational, socio-political and comparative approaches allow this story of survival during the Holocaust to emerge as a case study for post-Second World War Western humanitarian intervention in decolonizing Shanghai and during China's civil war (1945-1949). As such, her work examines the intersections of the family, national security issues in Asia-Pacific, and racism during these fraught debates. She has culled her archival sources from Australia, Canada, France, Germany, Israel, the United States, and the United Kingdom with generous support of multiple institutions within and outside of Ohio State: American Association for Jewish Research, German Academic Exchange Service (DAAD), Hadassah-Brandeis Institute, Ohio State Discovery Themes (Global Mobility), Mershon Center for International Security Studies, Studienstiftung des Deutschen Volkes (Leo Baeck Programme), Social Sciences Research Council, and the U.S. Holocaust Memorial Museum.